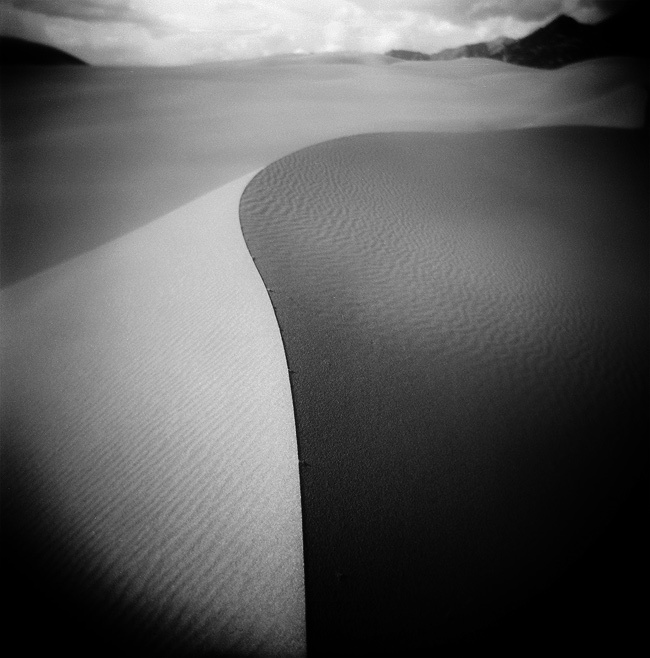 Great Sand Dunes National Monument, CO. Ilford Panf 50. I really like the blur of the background. Very interesting -and unusual- view. Great and sweet picture ! Perfecto! This is an image I dream about. Absolutely stunning, excellent work! Love the play between light and shadow. This is just mindblowing. Great piece of work. It got everything needed. Trula great. oh wow, love this, Will. It really is a fine line – and what a FANTASTIC shot! Everything is just about perfect! That is a fine line! Really great capture. Almost a perfect s-curve. Wonderful composition and lines. Great work! What a beautiful and moving image! quite sharp for a holga, awesome image! Love the dune, its textures, its lines. You could do without the background. Fantastic composition…love the textures and lines. Either I'm having deja vue or is this a repost. Excellent just the same. This is an excellent composition. Wonderful shot. The shadows really are wonderful. This is what I call black and white fine art photography. Beautiful. It worths a place on the wall. Very delicate work, the black and white conversion is masterfully done. perfection in a holga. this is one of the best shots i've seen for a long time. Great graphic shot..Well done composition and tones..Bravo! Great composition, the contrast is fantastic in this black and white shot. I just love the shape of the dune, it really makes for a nice composition! Smooth and silky; it's like a vision from a dream. Very beautiful composition. So sharp in the foreground and nicely blurred and vignetted around the edges. Great shot again, lovely curve and I like the high horizon.